I’ve recently started a new website around the niche of peer-to-peer lending, P2PLendingNews.com. The site itself isn’t entirely new, but it’s new to me. It was originally setup in April 2007 by its previous owner during the initial period of excitement around peer to peer lending before the SEC came down on Prosper and Lending Club in 2008. The site was actually setup by a former employee of a peer to peer lending company, but the individual had stopped posting on the blog in 2009. After settling on the peer-to-peer lending niche, I purchased the site from its previous owner for $1,500. The figure I paid was a bit on the high-side for a site that made between $30 and $50 per month in AdSense revenue, but I opted to pay for the site versus starting for scratch for a few reasons. 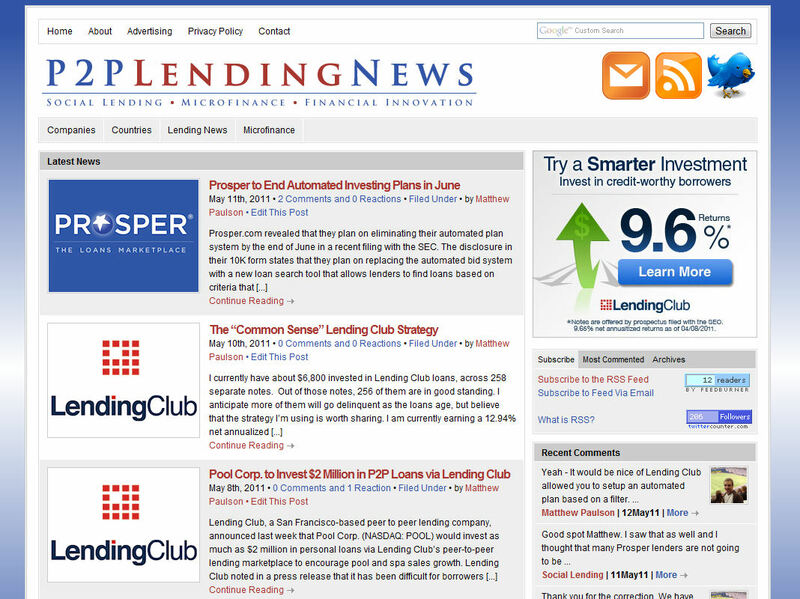 The site was not participating in Prosper and Lending Club’s affiliate programs. I saw that as an immediate opportunity to boost revenue on the site. The site was also getting around 1,500 unique visitors per month, but it very targeted and valuable traffic. There were two strong search engine optimization (SEO) benefits of buying a somewhat established (albeit neglected) website. The site had a number of backlinks from other peer-to-peer lending sites. The site also had a domain that was four years old. 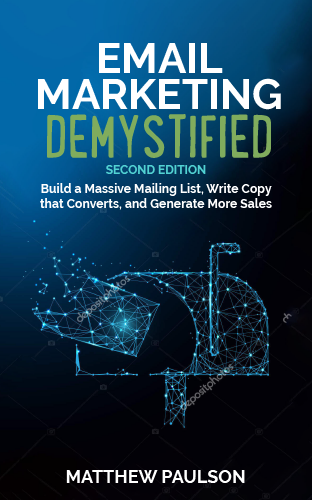 Those two factors will ensure that any new content that I write off the bat will rank higher in Google and Bing/Yahoo than if I were to try to start a new website from scratch. I’ve setup a writing schedule of two articles every Monday, Wednesday and Friday. Each article takes about 20-30 minutes to write, which means I’ll likely spend about 3-4 hours a week maintaining the site as a whole. I plan to promote the site by being an active participant in the peer-to-peer lending community. I’m opting against doing any article marketing as those techniques seem to be falling out of favor as Google improves their algorithms. I will do some basic white-hat SEO, but will avoid doing anything that would look remotely black-hat to search engines. The ultimate goal of the website will be to leverage my interest in peer to peer lending (I have a small investment in peer-to-peer loans via Lending Club) to develop a passive income over time. Initially, the revenue will come via leads sent to Lending Club and Prosper.com, however, I’m hoping to branch that out a bit in the future by selling an investor’s guide to peer to peer lending.